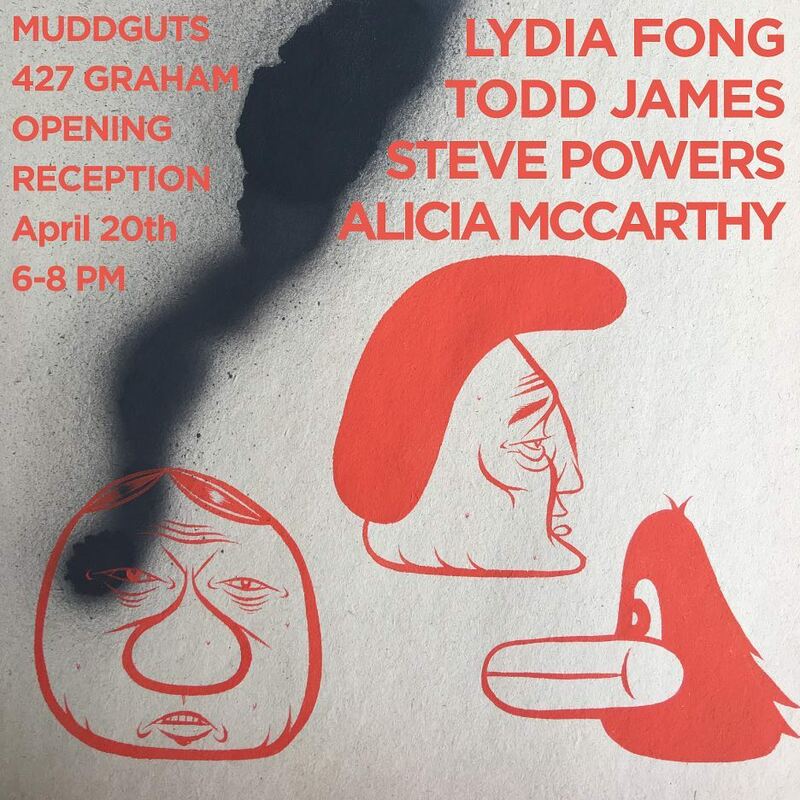 Tomorrow night (April 20th) in Brooklyn, Lydia Fong, Todd James, Steve Powers, and Alicia McCarthy will be putting on a show at Muddguts. 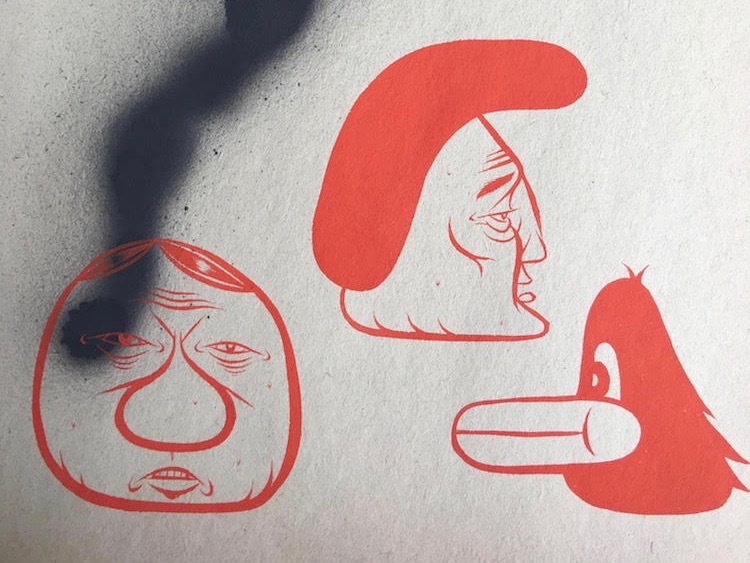 For those in the know, as well as from the artwork used to promote the exhibition, it looks like Fong (aka Barry McGee) will be joining his Street Market buddies James and Powers and has invited his Mission School art movement colleague McCarthy to the party as well. Head over between 6-8 pm (427 Graham Ave) if you want to enjoy the festivities. Categories: Contemporary Art, Shows & Events, Street & Urban Art. Tags: Alicia McCarthy, Barry McGee, Contemporary Art, Lydia Fong, New York, Shows & Events, Steve Powers, Street & Urban Art, Todd James.